30th president - elected at the 1965 convention held in Houston, Texas and at the 1966 convention held in San Antonio, Texas. Served two terms.8 and 1949 conventions. Served two terms. When he joined LULAC in 1944, he considered it 'an apostolate.' Sitting in his downtown Houston law office, he recalled, "The people in LULAC at that time were very dedicated and had no personal gain in mind. They were devoting their efforts, energy, money and many times risking their lives to better conditions and situations of the Mexican Americans in this nation." Imbued with that sense of commitment, Hernandez held many LULAC offices as the years went by - president, secretary and treasurer of Houston LULAC Council #60, state director in Texas and national legal advisor for a number of national presidents. He was the leading activist of LULAC national presidents. He helped organize the Selma (Texas) action that began - wrote Jose A. Chacon - a labor strike, turned into a protest march and ended in a confrontation with Texas Governor John Connally on a highway near New Braunfels, Texas. He was the president that brought LULAC closer to the activism prevalent in that era. The highlight of his militancy for Hispanic rights was a memorable evening spent in the White House with President Lyndon B. Johnson and several other Hispanic leaders. Born in Mexico City, Hernandez came to the United States at the age of four, enlisted in the Army after graduating from high school, and saw military action in Africa and Europe during World War II. He became a naturalized citizen in 1944 while soldiering in Italy. Returning home with the rank of technical sergeant, he took advantage of the GI Bill and enrolled at the University of Houston. 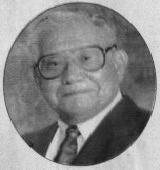 He received his law degree from South Texas College of Law in 1953. Because he served as a local judge in Houston for a time, he is still called "judge" by all who know him, although he long since returned to the practice of private law. A few years ago his eyesight began to fade and, fearing that he would one day have to stop practicing law, he established a restaurant in downtown Houston specializing in Mexican food. Judge Hernandez married Minnie Casas and had two sons and one daughter - Alfred Jr., a physician, John Joseph, and Anne Marie.